Menlo Security’s isolation platform stops cyber attacks from ever reaching your organization’s network. Our technology inserts a secure, trusted execution environment between your end users and potential threat sources, such as web sites and email links. 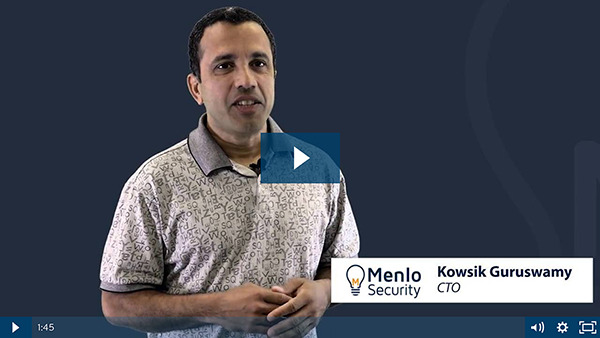 Menlo Security delivers 100% security via isolation with global, elastic cloud simplicity.